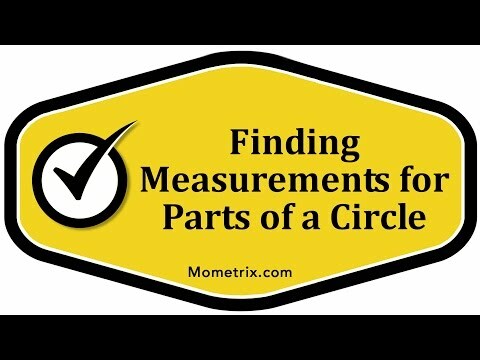 This video shows how to find different measurements for parts of a circle. To find the area of a circle cut into 12 equal slices, you need to first identify the area of the entire circle, then divide it by 12. For example, if the circle has an area of 81πin.2, the area of one slice is 27/4πin.2. To find the circumference of one slice of the circle, find the circumference of the whole circle and divide by 12. If the circle has a circumference of 18πin., the circumference of one slice is 1.5πin. To find the perimeter of one slice, take the circumference of one slice (1.5πin.) and add the radius of the whole circle (9in.) twice: P=1.5πin+9in.+9in.=18+1.5πin.